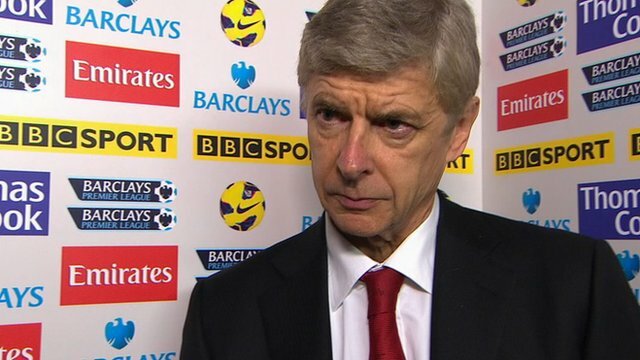 Is Arsene Wenger still the man for Arsenal? As Arsenal suffers another defeat, this time at home to Swansea City, there are a growing number of Arsenal fans openly criticising their most successful manager and calling for a change. Will this be Arsene Wenger’s last season as Arsenal manager? Or will he be able to silence his growing army of critics and turn Arsenal’s season around? The previous success Arsene Wenger has produced at Arsenal means he has built up a massive amount of goodwill and support from both fans and the owners. If he was to leave Arsenal it was assumed it would be on his own terms, at a time of his own choosing. However, this goodwill and support is beginning to show signs of severe strain as Arsenal have made their worst start to a season since Wenger took charge over 16 years ago. They are currently 10th in the Premier League and Wenger is having to listen to growing criticism of both his team and himself. Not all of Arsenal’s supporters blame Wenger, they reserve their criticism for the Board and their apparent lack of financial support when it comes to buying big or offering contracts sufficient to keep their top players. When you look at the type of talent that has been allowed to leave in recent years; players like Fabregas, Nasri, Song and van Persie and compare them to the players bought in to replace them; Arteta, Gervinho, Podolski. Few would argue that the team has been not been weakened. Many pundits argue that if Arsenal really have the ambition to compete at the very highest level they need to attract some big names if they want to seriously challenge for the Premier League Title and the Champions League. As we know, top players demand big money. Will the Board release sufficient funds in January in an attempt to salvage something from this season? Or will they allow Theo Walcott to leave and hope that Wenger will somehow manage to work some magic and still qualify for a Champions League place? January could provide a few answers for Arsenal’s unhappy fans. This entry was posted in News, Premier League and tagged arsenal, arsene wenger, premier league on December 3, 2012 by soccerjerseyplus.